An Eurycles amboinensis plant in flower. This is recently grown near our chalet at the eco-farm in Bintulu. 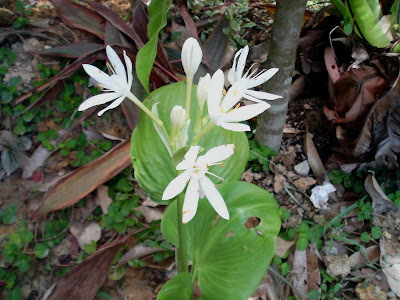 Locally called te ' sepenuh ' , this plant is native to Malaysia. The flowers have come out for the past one week and as characteristic of this plant, the other buds will continue blossoming in another two to three weeks time.